As advocates of any cause, we endure because we see the brighter future that we’re working toward. A vision keeps us focused, inspired and connected. Why? Because when you set a destination, a path appears—and a journey begins. For the last few months we’ve been working to create a new map for this journey, and today I’m excited to share it. Together, let’s travel to The Future of Education in New Mexico, where every child from every neighborhood has access to a great school that opens for them a world of exciting possibilities. In our latest publication, we bring you to that future. We describe our path, and share the guiding stars that we follow as well as the compass points we use to fine-tune our journey. 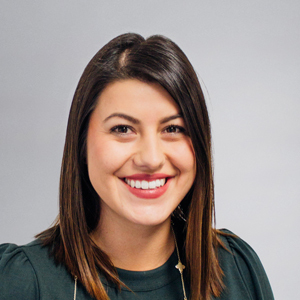 Along the way, we show how a New Mexico student, Isabel, and her family might navigate the school system of tomorrow, and we share perspectives from the community. You can explore the future here! This publication is equal parts travel guide and roadmap, and I hope the vision inspires you to action. Let it start conversations, inform advocacy efforts and shine a light on great schools across New Mexico that could lead the way. We’ll use the roadmap, its guiding stars and measures of success, to shape our advocacy efforts and policy goals in the years to come. We chose the guiding stars—innovation, options, transparency, excellence—because we heard them time and again during hundreds of conversations with people across the state. As we travel along our journey, we’ll track our progress. You can learn about our measures of success here— think of them as compass points that help us fine-tune our journey as we go. 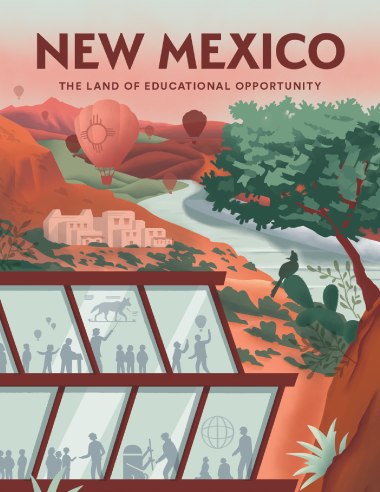 New Mexico is poised to set national precedents for education reform: a moment in which our Land of Enchantment could lead the way to an incredible tomorrow and reimagine what’s possible in our schools. More than ever, we need a reliable roadmap to ground our work in principles that we know give rise to great schools. We believe The Future of Education in New Mexico is that roadmap. Here in New Mexico, there aren’t many things more beautiful than a sunset over the Sandia Mountains. I can think of one, though: the promise of public education in America, and the promise and potential of our students if we prepare them to be the future leaders we need.